It was a great Friday for those folks waiting for the radioactive dye Amyvid to be approved. The dye, which allows doctors to see the toxic protein amyloid plague in the brain via a PET scan, has been waiting for approval since it was turned down by the FDA one year ago. On Friday, April 6, 2012 the FDA approved the use of Eli Lilly's Amyvid, and Lilly announced that the dye will be available for use this summer, in small supply. Amyvid dye attaches itself to amyloid plaque in the brain and colors it, making it easier to see. The presence of amyloid plaque in the brain is known to be symptomatic of Alzheimer's disease, but it is also symptomatic of other diseases and, therefore, may not be used as a single diagnostic tool for Alzheimers, but one of several. 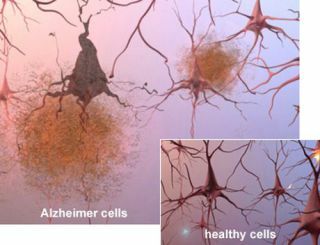 That is why Amyvid will be used primarily to rule out Alzheimer's disease, and not to diagnose it. It will, however, aid in earlier detection of amyloid plaque, and therefore, earlier treatment for Alzheimer's and other amyloid-related diseases. Eli Lilly, responding to the FDA's criticism at last year's evaluation, has revamped its training materials, using online and in-person training programs for personnel who will use the dye for diagnostic purposes. The company is working through its unit Avid Radiopharmaceuticals, Inc. to market Amyvid. Avid is a frontrunner in Alzheimer's imaging products and a rival of General Electric Co., and Bayer AG are developing rival products, according to Reuters.